The San Francisco toxic tort law firm at The Brod Law Firm continues to follow the legal battles that have grown out of the 2010 oil spill in the Gulf of Mexico. We follow the developments because we want to be prepared to help victims should an oil spill in Sacramento or other Northern California oil and gas accidents result in harm to our community. As the Associated Press reported, last Wednesday, BP and a team of plaintiffs’ attorneys presented judge overseeing the BP cases with the formal terms of a proposed settlement for the pending class-action claims. 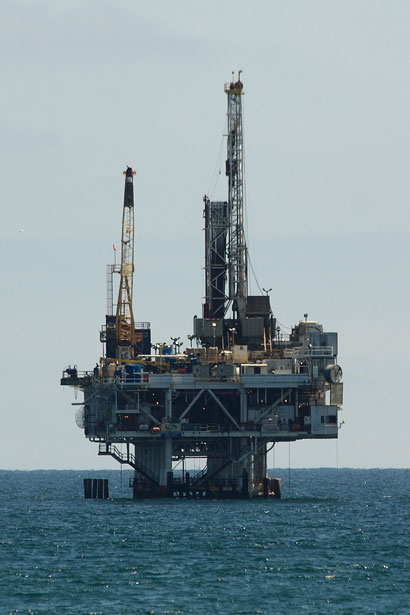 The lawyers are looking for the judge to issue a preliminary approval that would impact BP and a plaintiff-side class composed of more than 100,000 businesses and individuals. There is no indication of how long it will take the judge to reach a ruling. Judge Barbier is expected to hold a formal fairness hearing to evaluate the settlement prior to issuing a final approval. The proposed settlement would have BP paying an estimated $7.8 billion to resolve claims from private parties. Settlement papers put no cap on the total damages that BP may have to pay. If approved, it would be one of the largest class-action settlements in history. The parties believe the settlement is reasonable, fair, and adequate and that it builds a comprehensive system for awarding compensation to class members. The settlement before the court does not attempt to resolve separate claims brought by the federal government and states in the Gulf water region against BP and its partners. Also not included are claims against Transocean Ltd., a Swiss-owner rig owner, and Halliburton, the cement contractor based in Houston. A May 3 status conference is planned to discuss the potential trial of these remaining claims. Health issues are an important element of the agreement. As it currently stands, the settlement includes payment of medical claims brought by clean-up workers and others who claim the spill caused their illnesses. No such claims have been paid out of the already existing gulf Coast Claims Facility. The proposed settlement creates levels of compensation based on the particular illness at issue. The highest level of illness claim coverage would include a payment up to $60,700 plus payment of hospital and medical bills. Coverage for lesser claims such as problems with skin disorders and eye, throat, and nose issues. If approved, the settlement would also require BP to spend $105 million over a five year period to create and run an outreach program to provide medical evaluations to impacted individuals. BP has also agreed to spend $2.3 billion to resolve seafood-industry claims including lost compensation for those who work in the fishing industry. Other claims that the settlement looks to resolves are business losses, lost wages, and property damages, including damage to vessels involved in the cleanup process. Plaintiffs’ attorney fees and related expenses are included in the settlement and capped at $600 million. The agreement also contemplates paying $57 million to help promote tourism in the region and to support the seafood industry. An additional $5 million payment is dedicated to helping educate Gulf Coast residents about how they can be part of the settlement. This may be the largest effort at providing notification to potential claimants of a settlement proposal. Some concern has been raised over potentially limiting the geographic scope of included class members. Florida’s Attorney General has also voices concern about eliminating the current interim claims process. The oil and gas industry are vital to our economies. They are large industries themselves and they supply needed energy to much of our society. The industries are, however, high-risk. The Brod Firm has experience bringing lawsuits against oil companies in California, including claims related to water contamination. We can work with individuals or help you understand and create a San Francisco class action complaint. We need to hold companies responsible when their actions harm our environment and cause economic losses and health concerns for our community. Let us help you do just that.